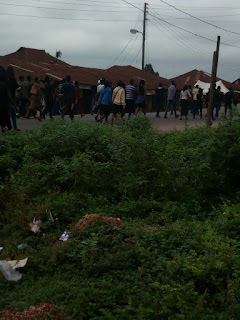 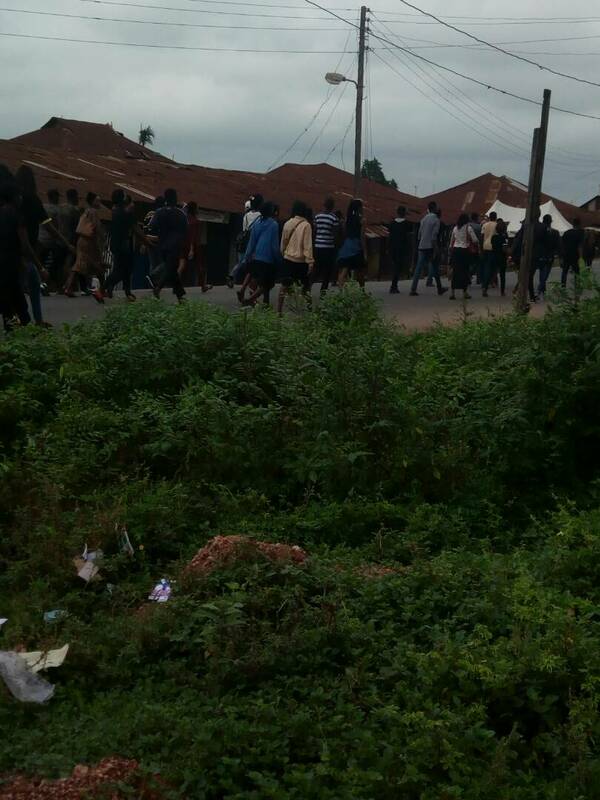 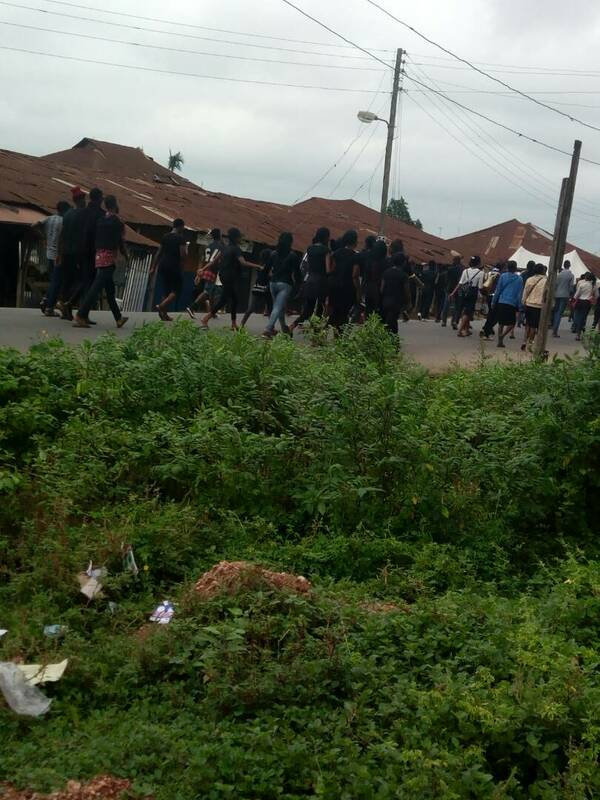 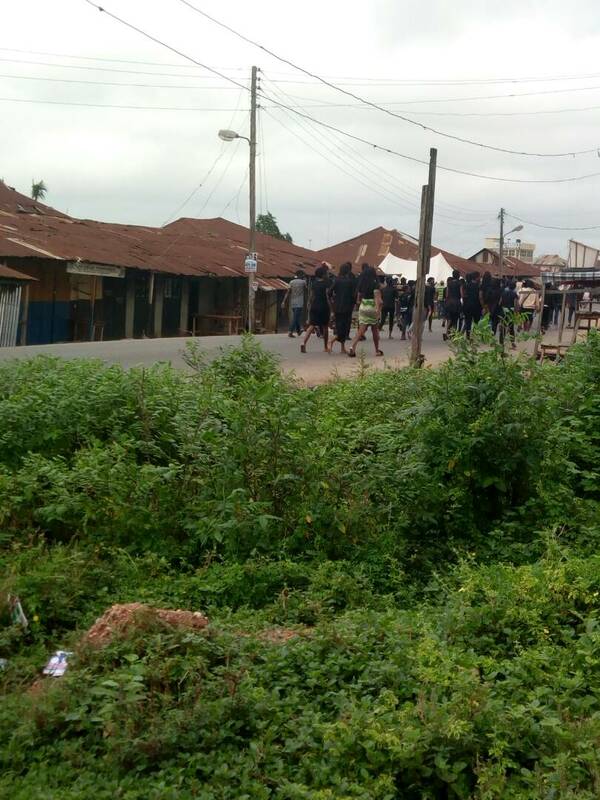 Students of the Osogbo Main Campus of Osun State University has threatened to battle the Aregbesola led State Government in the state over the continuous attacks on the students in recent time. 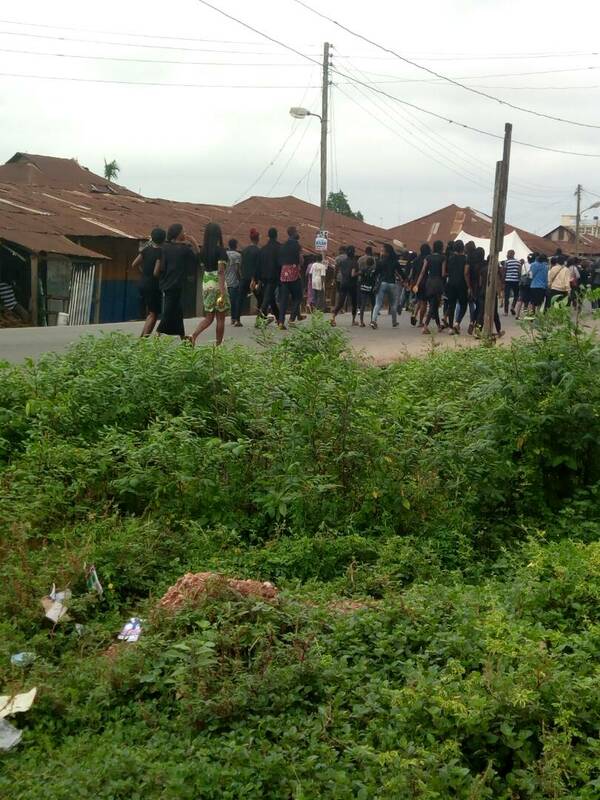 The students made this known to Amiloaded after setting ablaze a building belonging to a cleric who was alledged to have kidnapped one of them, Shonibare Timileyin, a 400 level student studying Microbiology who was early declared missing last month but whose decomposing remains was later found yesterday. 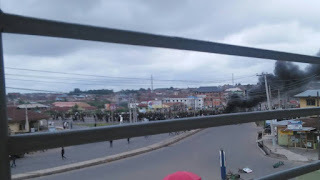 They expressed their worries over the nonchalant attitude of the state government as regarding their welfare while they also said they were ready to combat the government in a protest which is targetted at shutting down Osogbo, the Osun State capital.